The TASC test is good news for adults who don’t have a high school diploma and want to get a good job or go back to school. The name stands for Test Assessing Secondary Completion, and several states have already adopted it, and many more are expected to do so in the near future. There are four sections on the exam – Social Studies, Science, Language Arts, and Math. In order to pass the TASC, you’ll need to have the knowledge and skills in these four areas that the average high school graduate possesses. The exam can be taken on a computer, or with pencil and paper. (It’s also available in Spanish.) There is a fee to take the test, but in many cases a local or government agency will cover the cost. You’ll want to be well prepared for the TASC test, because it’s not easy to pass. We’ll help make sure you’re ready – you’ll find lots of free videos and practice questions here at the Mometrix Academy that can help you pass the TASC exam. Mometrix Academy is a completely free resource provided by Mometrix Test Preparation. If you find benefit from our efforts here, check out our premium quality TASC study guide to take your studying to the next level. Just click the study guide link below. Your purchase also helps us make even more great, free content for test-takers. The TASC test was originally created by CTB|McGraw-Hill and is now newly published and administered by the Data Recognition Corporation (DRC|CTB). The test has undergone stringent testing at both state and federal levels; as well as by adult-education experts and experienced secondary school teachers; and by the DRC|CTB’s own doctorate-level research scientists, and statistical and research analysts. The T test meets the standards put forth by the College and Career Readiness Standards (CCR); Office of Career, Technical, and Adult Education (OCTAE); National College and Career Standards for Adult Education (NCCSAE); and the Next Generation Science Standards (NGSS). The TASC also uses random samplings of U.S. graduating high school seniors and advanced Adult Basic Education students as part of its standardization process. CTB|McGraw-Hill coordinated with national organizations and resources to create the social studies content for the TASC test, including the National Center for History in the School; National Standards for History, Basic Edition, 1995; Center for Civic Education; National Standards for Civics and Government, 2010; Economics: Council for Economic Education; and the Voluntary National Content Standards in Economics, 2nd Edition. The TASC (Test Assessing Secondary Completion) is a high school equivalency test from the Data Recognition Corporation|CTB (DRC|CTB). States that offer the TASC test are partners with DRC|CTB and are authorized to honor test takers who pass the TASC test with a high school equivalency diploma. Once you have your TASC high school equivalency diploma, you are qualified to apply for college and college-level financial aid. In 2014, the TASC test and the HiSET (High School Equivalency Test) from the Educational Testing Service (ETS) became notable competition to the long-standing, unrivaled high school equivalency test, the GED (General Educational Development). Not only has the TASC test proved to be of high quality but it is also more affordable and has more flexible accommodations for language, disability, and computer-access barriers. In this short time, twelve states have adopted the TASC test as an option for a high school equivalency diploma. These twelve states are California, Colorado, Illinois, Indiana, Nevada, New Jersey, New York, North Carolina, Oklahoma, South Carolina, West Virginia, and Wyoming. The TASC test is comprised of five subject areas: reading, writing, mathematics, science, and social studies. Some states have additional requirements. Check with your state’s TASC test for more information. The reading section has 48 multiple-choice questions (49 questions on the paper and pencil version), one constructed-response question, one technology-response question (not on paper and pencil version), and eight passages. You will have 75 minutes (80 minutes for Spanish) to complete the reading section. The writing section has 50 multiple-choice questions (51 questions on the paper and pencil version), one constructed-response question, one technology-response question (not on paper and pencil version), and two passages with one writing prompt question. You will have 105 minutes (110 minutes for Spanish) to complete the writing section. The mathematics section has 42 multiple-choice questions (43 questions on the paper and pencil version), 11 gridded-response questions, one constructed-response question, and one technology-response question (not on paper and pencil version). The mathematics section is divided into two parts. In part 1, you can use a calculator. The recommended calculator is the TI-30XS MultiView. You will have 50 minutes (55 minutes for Spanish) to complete part 1 of the mathematics section. In part 2, you cannot use a calculator. You will have 55 minutes (60 minutes for Spanish) to complete part 2 of the mathematics section. The science section has 48 multiple-choice questions (49 questions on the paper and pencil version), one constructed-response question, one technology-response question (not on paper and pencil version), and eight stimuli questions. You will have 85 minutes (90 minutes in Spanish) to complete the science section. The social studies section has 48 multiple-choice questions (49 questions on the paper and pencil version), one constructed-response question, one technology-response question (not on paper and pencil version), and eight stimuli questions. You will have 75 minutes (80 minutes for Spanish) to complete the social studies section. 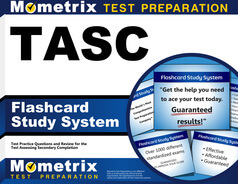 Mometrix can help you pass the TASC test by helping you study. The Mometrix TASC test tools include a TASC test study guide, TASC test flashcards, TASC practice tests, and TASC test video reviews to help you succeed in this important step toward obtaining your high school equivalency diploma. The DRC|CTB offers the TASC test in a variety of formats. It is available in English or Spanish; computerized or paper and pencil; and large print, audio, or Braille. The TASC test also allows additional tools, procedures, or materials that a test taker may require to accommodate a disability or limitation. For the mathematics section of the TASC test, a calculator reference sheet is available in English or Spanish, and in either a computerized or print format. Notify your test center beforehand if you require any of these accommodations. To be approved for other accommodations, such as extra time, you must submit documentation explaining your disability and need for special accommodation. 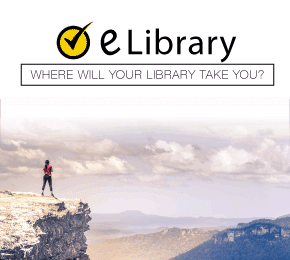 The TASC test reading section includes informational and literary passages presented in different formats. The informational passages come from nonfiction, history, social studies, science, technical writing, the workplace, and from the community. The literary passages come from fiction, poetry, and theater. You will be assessed in the areas of key ideas, craft, integration of knowledge, and vocabulary acquisition and use; as well as comprehension, analysis, application, and synthesis. The reading section of the TASC test will allow you to demonstrate your ability to read, analyze, and summarize; express your opinion; and draw inferences about a provided passage. In your summary, you will show your understanding of how the main idea is developed and show your ability to identify the supporting information; and the interactions between characters, ideas, and events. You will demonstrate your ability to define contextual meanings of words and phrases. You will identify figurative, connotative, and technical meanings; as well as identify nuances and tone, and the use of industry-specific language. You will also identify how the author refines the main concept through his use of sentences, paragraphs, and chapters. In your summary, you will evaluate the effectiveness of the passage’s structure in making the author’s point. What tools does he use to persuade his audience? Does he use rhetoric, a certain writing style, explicit statements and/or inferences? How does he develop his characters and themes? Does the author succeed in making his point? You will demonstrate your ability to analyze passages expressed in different formats, such as print and multimedia. In your analysis, you will compare the differences between the details that are emphasized, the words that are used, and which media is more effective in making the author’s point. You will be analyzing the structure and tone of important literary writing, as well as historical and legal U.S. documents. The writing section includes passages from academic and business settings, and from informational text. You will be assessed on your ability to edit the given passages. Your writing will be assessed in the areas of organization, context, grammar and usage, sentence structure, mechanics, capitalization, punctuation, spelling, and knowledge of language and conventions. You will prove your ability to use Standard English grammar and usage. You will edit text for voice and mood shifts; parallelism; phrasing, clarity of meaning, and presentation; context and style; changes of meaning and clarity between various media; and use of syntax and references. You will prove your command of Standard English conventions, including sentence structure, mechanics, spelling, context, and style; phrases and clauses; verbs and verbals; active and passive voices; and the history and challenges of a living language. You will be assessed on your ability to use reason and evidence to create organized and clear summaries to support or oppose the main ideas of the given passages. The mathematics section is divided into two parts. During part 1 of the mathematics section you can use a calculator. During part 2, you will not be allowed to use a calculator. You will be assessed on your ability to use numbers, quantity, algebra, functions, geometry, and statistics and probability; as well as your use of procedural and conceptual skills, application, and problem solving. You will prove your ability to use algebraic expressions, equations, and functions; basic operations; and graphs. You will identify and create geometric concepts and shapes, and solve statistical and probability problems using quantitative reason. You will demonstrate your skills in building functions, geometric properties and congruence, triangles, circles, trigonometry, quantities, the complex number system, and interpreting statistics and probability data. The science section will assess your ability to use physical sciences, life sciences, and earth and space sciences to solve design problems in the field of engineering. You will also be assessed in your comprehension, application, analysis, and evaluation of physical sciences, life sciences, and earth and space sciences. You will demonstrate your knowledge of matter, energy, organisms, ecosystems, heredity, evolution, and the universe. As well as your knowledge of matter interactions, motion and stability, energy, and waves being used in information transfer. You will be assessed on your comprehension, application, analysis, and evaluation of U.S. history, world history, civics and government, geography, and economics. You will demonstrate your knowledge through the use of passages, illustrations, graphs, and charts. You will demonstrate your knowledge of U.S. and world history, WWII, the Great Depression, the Civil War, and the Industrial Revolution; policies on the political rights of U.S. citizens; the development of the American economy through entrepreneurship; and American civics, government, politics, economics, geography, and the environment. In order to receive your high school equivalency diploma, your TASC score must meet or surpass the grades of 40 percent of U.S. graduating high school seniors. High school equivalency diplomas are given out by individual states and there may be additional requirements in some states. Check with your state’s TASC test for more information. The minimum passing score is 500 for each section and a minimum of 2 out of 8 for the essay. There is no overall score for the TASC test. If you fail any or all of the sections on the TASC test, you can take them again, individually. You can retake, for free, up to two sections within one calendar year. Second retakes will cost you $10.40 per section. Check with your state’s TASC test for any additional fees. You can register online for your Test Assessing Secondary Completion test. To do so, create an online account on your state’s TASC test website. The website will provide you with contact information to discuss any issues related to your registration. To be eligible to register for the TASC test, you must not be currently enrolled in high school, not graduated from high school, and you must be at least 16 years of age. 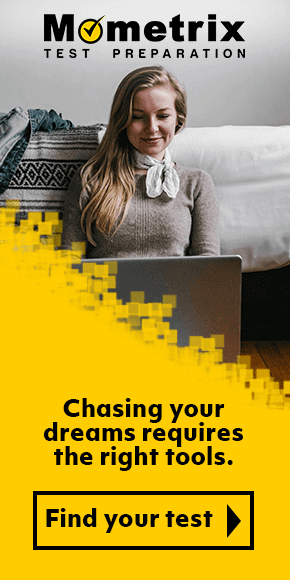 Check your state’s TASC test for additional criteria including minimum age, residency, and any restrictions regarding the length of time you have been out of high school. You can find the test centers for your state at the TASC Test Centers’ website. Contact the individual test centers to confirm available test dates, and to discuss whether the offer the computerized and/or the paper and pencil versions of the test. You will also need to contact your TASC test center to discuss your option to take the test in English or Spanish, and any other accommodations you may require due to disability or limitation. On test day, arrive at least half an hour early in order to register and prepare to start. Bring valid photo identification, two pencils, and a calculator. Find out from your TASC test center what other requirements they may have for test day. The TASC test is an important step in getting your high school equivalency diploma. A high school education is imperative to your success in today’s job market. Success on the TASC test will determine your future goals. The TASC test is tough to pass; Mometrix can help you pass by helping you study. Use the Mometrix TASC test study guide, TASC practice test, flashcards, and video tutorials to help you get your high school equivalency diploma.